I was in Bay Ridge for a dental appointment when I once again passed the huge bank building at 5th Avenue and Bay Ridge Parkway (called by all Bay Ridgeites “75th Street”) when I recalled that I had been past this building likely thousands of times without going inside, while I resided in Bay Ridge from birth in 1957 until March 1993, when I moved to Queens. It hadn’t been “my” bank — however, I did apply at the Manufacturers Hanover on the opposite corner in 1984, and I’m still with that bank today — now JP Morgan Chase, after a series of mergers. Presently, this bank building has become a Chase branch, so I assumed I wouldn’t be given the bum’s rush if I showed them my Chase bank card. As it happened, that strategy was moot as no one either noticed my presence or cared about it. 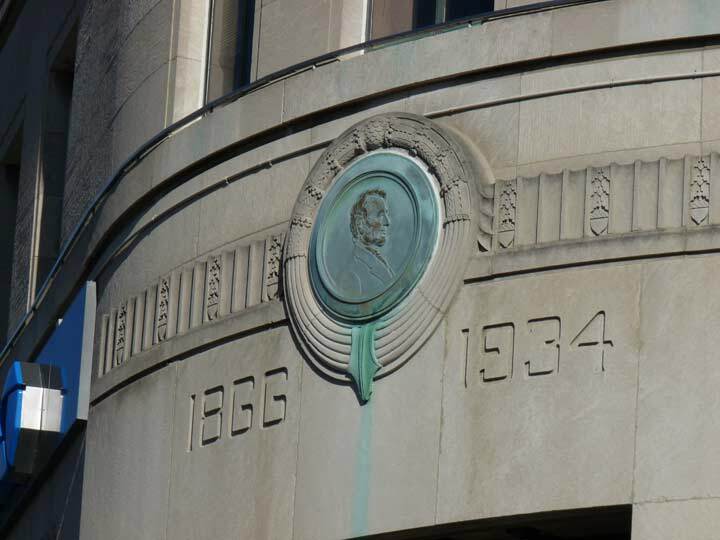 The building was constructed beginning in 1934 as a branch of the Lincoln Savings Bank of Brooklyn, which was incorporated as the German Bank of Brooklyn in 1866 and hen changed to the new name in 1917, no doubt World War I influencing that decision. According to the Brooklyn Eagle, June 11, 1934, ground was scheduled to be broken on or about July 1, 1934, with a facade of Indiana granite limestone with a black polished rosetta base. The banking room was to have a ceiling height of 30 feet, 8 inches and the walls and pilasters (half columns attached to the walls) of San Quentin stone. The floors were to be of terrazzo with brass dividers. 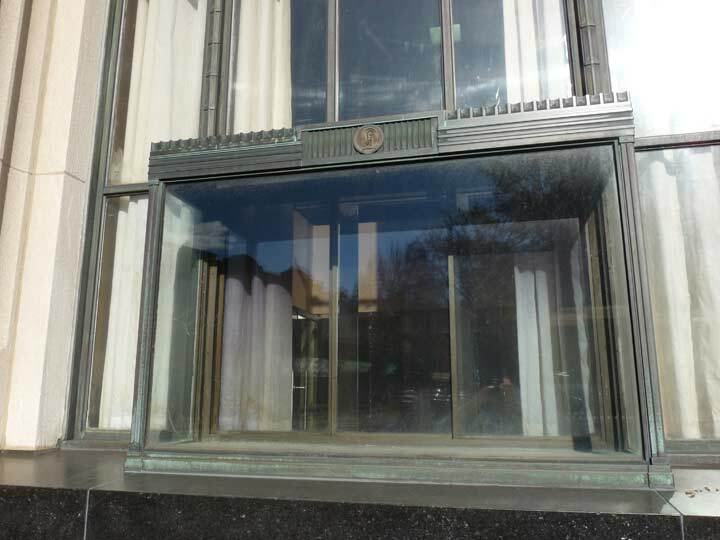 The windows were to be 22 feet high (they still are and are one of the bank’s most enduring features). However the greatest feature the article did not address were the large wall murals. Bear in mind that the bank was constructed in 1934, a few years before the Belt Parkway was constructed along the waterline. 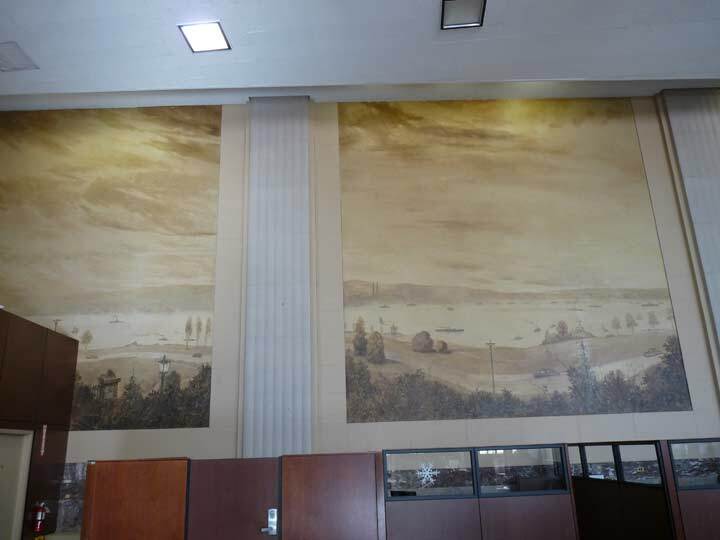 Thus, these large panels depict the Bay Ridge shoreline along the Narrows, close to how the shoreline appeared in the early 20th Century. 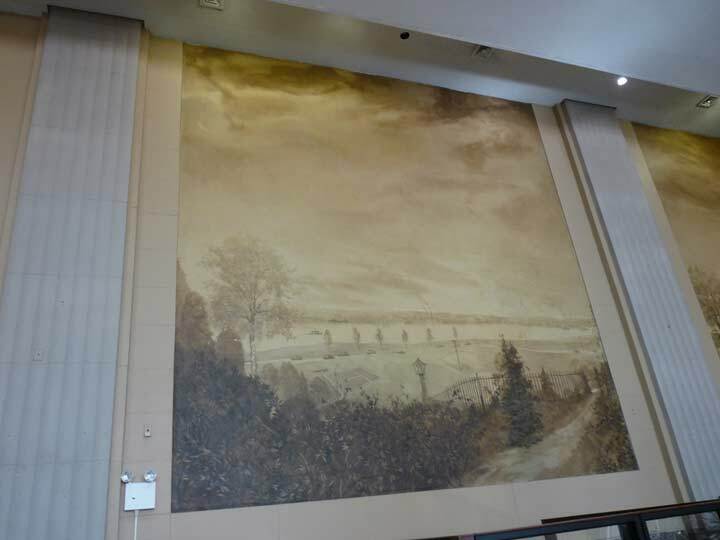 Unfortunately, some bank offices obscure parts of the murals. I do not know the artist’s name. 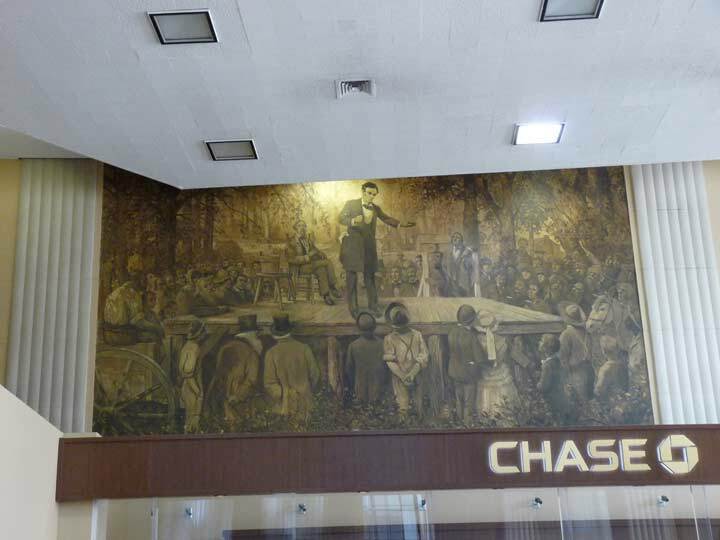 Another mural shows Abraham Lincoln giving a speech to a crowd, with another speaker seated on the platform. This likely depicts the 1858 Lincoln-Douglas debates in which Lincoln (R) opposed Stephen Douglas (D) for a Senatorial seat in Illinois, the main issue being slavery in that state. Lincoln lost the election. 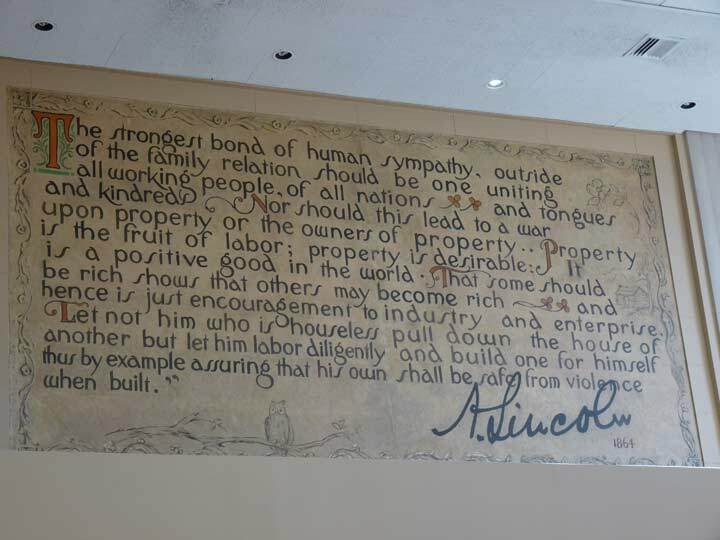 One of the crown jewels of the bank’s interior is this beautifully lettered plaque, featuring Lincoln’s signature, presenting Lincoln’s thoughts on capitalism and the pursuit of it, given while he was accepting an honorary membership in The Workingmen’s Association of New York on March 21, 1864. 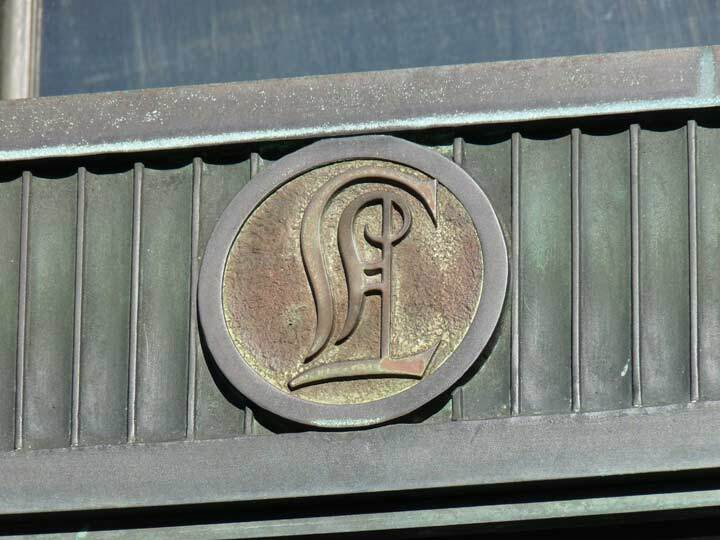 Beside the bronze of Lincoln above the front door, another tangible relic of the building’s stint as the Lincoln Savings Bank are two display cases (I do not know what the displays were) featuring a classical “L” resembling a British pound sign. One more discovery. Both sides of Bay Ridge Parkway are lined with wonderful attached brick dwellings with round bays. 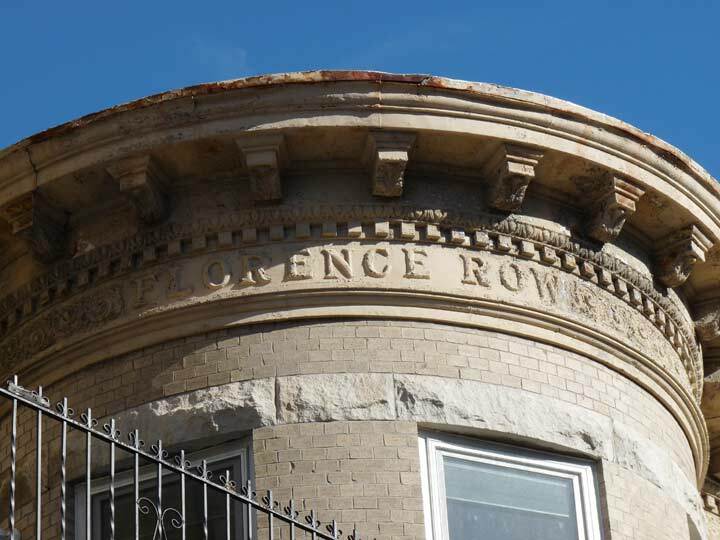 One aspect I had never noticed till now, however, is that the group on the north side is named Florence Row. The late Bob Guskind of Gowanus Lounge noticed this feature in 2007. Thank you for this: brings back lovely memories. This was also my bank branch growing up in the 1950s. I used to stare at those murals, especially the Lincoln one, as my parents did their transactions.I later had my one savings and Christmas Club accounts. 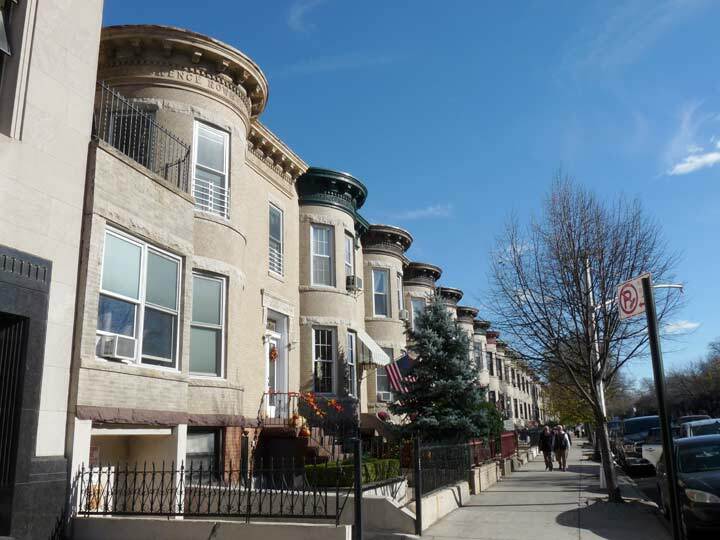 BTW: Those row houses are properly called “Italianate” from the bows and classical detailing. THANKS I had a account with this bank at there Brighton Beach Branch in the early 50’s,it was on the corner of Brighton Beach Av @ Coney Island Av across from Stals…. Man that was near 60+ yrs ago!!!!! There was a twin to this in Flatbush at the corner of Nostrand Ave and Church Ave…We also had Fulton and Flatbush Savings Banks within walking distance and these were enormous..especially for a little kid holding on to his Mother’s hand….show places! No bank has a security guard anymore but photography isn’t the best way to get a lollipop. 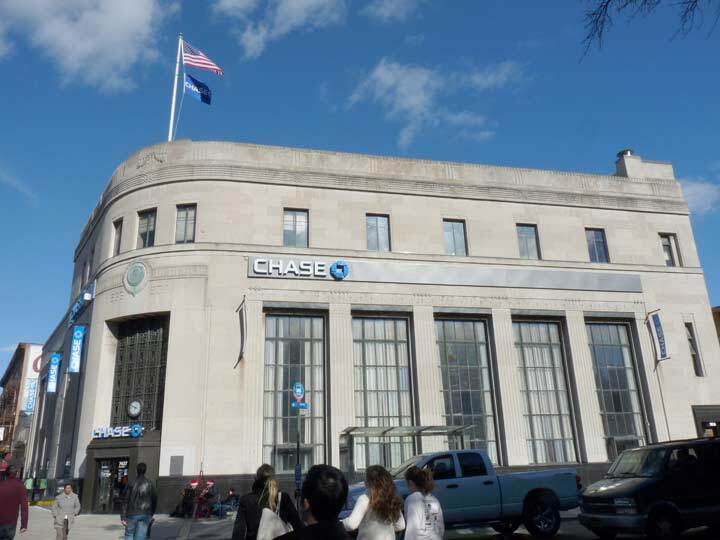 Chase has acquired many old bank buildings in Brooklyn over the years through mergers, including this one and several on 86th Street. On many of these, they have installed blue and white LED lighting that shine up and/or down on the stone facades and columns at night. The architecture is spectacular lit up that way at night – it’s nice to see a large company like Chase actually embracing the architectural history of these buildings. I’d like to see the inside of the round bays…to see how the rooms and furniture look. I recall that some time in the mid 1970s – around the time I was 8 and my family left Brooklyn – this Lincoln Savings branch changed to a Seaman’s Savings Bank…When Seaman’s was flailing in the late 1980s, Chase acquired all the Seaman’s accounts and properties, including this building. I had my Brooklyn elementary school “dollar a week” bank book with Lincoln; which public schools used to do with students. 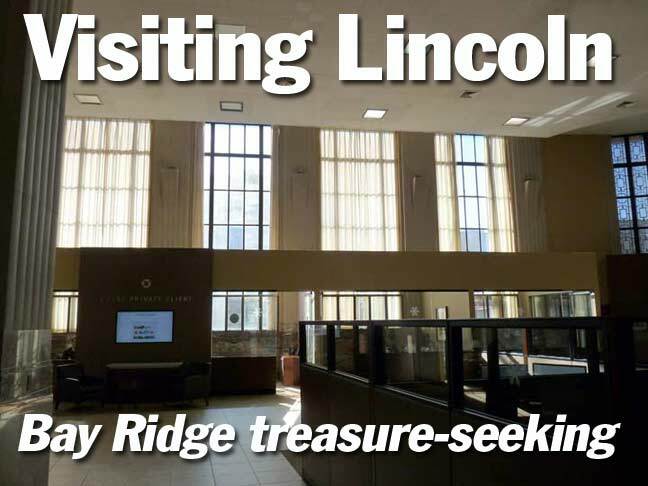 I also have fond memories of the Lincoln Savings Bank. 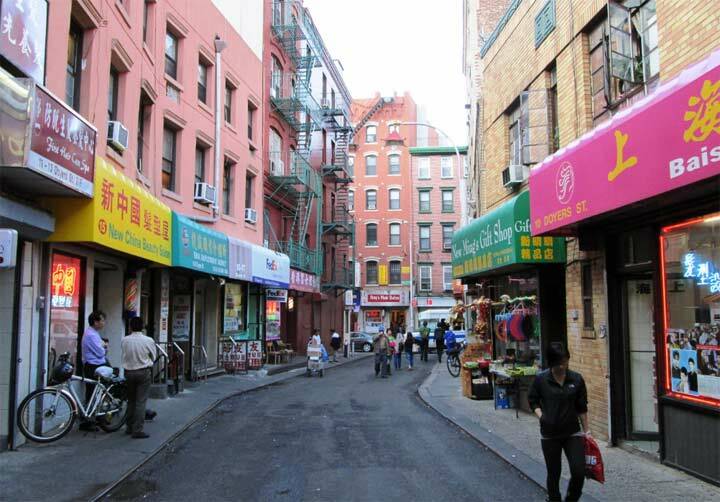 The one closest to my home was located on Ave. X. A couple of blocks from my elementary school P.S. 216. Thank you for remembering the $1.00 a week bank book through our elementary schools. Although mine was through the Manufacturers Hanover Bank another one taken by Chase. However, my first checking and savings account after I started working were with Lincoln Savings. It was a a great bank. I have many fond memories of going to this bank with my mother as a child. I had a savings account there thru my school. I loved looking at the murals & the architecture I thought when I became an adult was magnificent. I moved to Long Island & go back to Brooklyn frequently to have lunch at Gino’s & still enjoy looking at that beautiful building. Happy that Chase took it over & it wasn’t destroyed like most old buildings in New York.